“Bernie would never do that. He’s my friend,” said one potential investor who lost everything. “He seemed like a nice person and not concerned about answering my questions at all,” said the reporter. 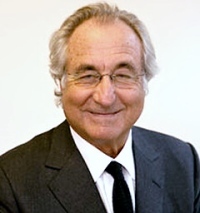 These were a few comments made about Bernie Madoff in the movie “Chasing Madoff” that I saw recently. It’s a documentary about whistle blower Harry Markopolos, who spent 10 years trying to get action taken on what he had quickly recognized was a massive fraud when his company asked him to come up with a competitive product and he ran the numbers. He was such a nice guy, some people commented about Bernie Madoff. He would never steal money. I’ve seen everyone from owners’ best friends to grandmothers to the kindly old lady in the church office commit fraud. It’s been my experience that most of these people have no prior offenses, which was backed up by a report generated by the Association of Certified Fraud Examiners (ACFE) a few years ago. Here were a few other key findings from that report. • More than half of the offenders were between 31-45 and slightly more likely to be male. The older the offender is, the bigger the loss. • More than 80 percent of offenders work in one of six departments: accounting, sales, operations, sales, executive/upper management, customer service or purchasing. No big surprise there — these are the people that have access to money, can write off on purchases or have expense accounts. • Only seven percent had been previously convicted of a fraud offense. I believe that low percentage is partly because most fraud offenders are let go from previous companies and never prosecuted. This is just one of the reasons I always advise my clients to prosecute those who commit fraud. In the ACFE’s 2012 Report to The Nations on Occupational Fraud and Abuse, it was reported that the median loss suffered from fraud cases was $140,000. But more than 20 percent of the cases involved losses of more than $1 million. Small business owners especially need to be concerned as they are more likely to be hit, primarily because they have fewer internal controls. Want to take a guess how long the fraud goes on before it was detected? A median of 18 months. Most people don’t go to work for a company with the idea of stealing from it. Most of them see an opportunity and then seize it. And that person is often the nicest person in the office. I write a lot about fraud and how to prevent it in this blog and also in my new book, “How Not to Hire a Guy Like Me.” I tell the story of sweet Aunt Tess, a payroll clerk that everyone at the office loved. And she was so dedicated she had never missed a payroll in 25 years, even dragging herself to the office hours after an appendectomy. Bless her heart! Well, old Aunt Tess was there, fresh surgical bandages and all, because she had a whole army of fictitious employees that allowed her to steal up to $100,000 a years. Fraud does, and can happen to anyone. If you don’t have fraud controls in place in your office, make it a number one priority to do so. Maybe the nicest person in the office can stay that way. This entry was posted in Fraud and tagged Association of Certified Fraud Examiners, Bernie Madoff, Chasing Madoff, Harry Markopolos, How Not the Hire a Guy Like Me. Bookmark the permalink.